Goodreads:“The year is 1945. Claire Randall, a former combat nurse, is just back from the war and reunited with her husband on a second honeymoon when she walks through a standing stone in one of the ancient circles that dot the British Isles. 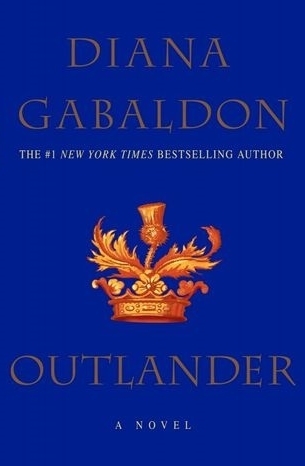 Suddenly she is a Sassenach—an “outlander”—in a Scotland torn by war and raiding border clans in the year of Our Lord…1743. First of all, hi guys, it’s Sofyy here. Today I’m going to talk about a book and a Tv Series. I’m sure you’ve heard of Outlander, even if you’ve just heard of the Tv Series. I first heard of Outlander from Ana, she told me to watch the series, like a hundred times, until I actually watched it by myself. The veredict: It is awesome! The only thing I’m sad about is that the second part of the show will only air in April… in a long timeeee. The cast is amazing, the scenery, and the opening song as well, of course I love the Scottish accent, especially when a certain highlander speaks *coff Jamie Fraser coff*. This Tv series is pretty amazing and worth your time! I’ve already convinced a lot of my friends to watch it (they love it! ), and this Winter holidays, when I go back home for two weeks, I’m so making my mother watch it! I know how much she a appreciates a good historical fiction tv series. I finaly got my copy of the first installment!!! For almost 3 months I’ve been looking everywhere like crazy for the Portuguese edition, and today it finally arrived from the mail! So what do you thing guys? Will you give it a try? I sure am!